The multifunction printer HP Officejet 4650 is not an office worker, as the name specifies. Read the test to find out why. The multifunction printer is not suitable for real office tasks. For this, the site prices are too high despite HP’s Instant Ink replacement program, while the working speed is too low at the same time. 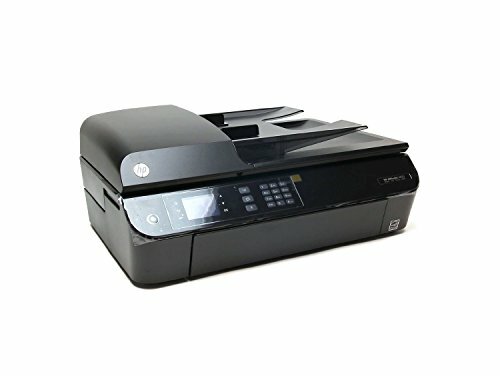 For private use that comes HP Officejet 4650 then in question, if you only occasionally print, scan and copy, but absolutely need a fax.Features such as duplex printing unit, document feeder and WiFi Direct for printing and scanning from the mobile device. On the other hand, paper feeding and storage are rather narrow. The combo cartridges of series HP 302 is available with XL range. However, even with 6.2 cents for the black and 9.1 cents for the colored sheet they generate high side costs. This eliminates the HP Officejet 4650 for users with office use. The Instant Ink program also does not help with this, which reduces the cartridge prices, but the constant replacement of the cartridges still remains annoying. In contrast, electricity consumption is moderate. In idle mode the switches HP Officejet 4650 to a low 0.8 watts when wireless is disabled. If the wireless interface is switched on, the consumption does not go below 1.1 watts – even low. 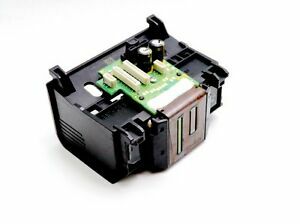 In addition, the device offers a real switch, which completely separates it from the power supply. As little as the follow-up costs for an employment in the office environment speak, so very tried the equipment. The multifunction printer can print, scan, copy and fax. For this purpose, a duplex unit is installed, which automatically prints the paper front and back. The document feeder can feed up to 35 sheets. The display is touch-enabled and graphically structured, but only in grayscale – this looks quite old-fashioned. However, the screen reacts quickly to the finger pressure. His menu is structured. Paper management is the answer to office applications: Only 100 sheets fit into the input tray. Also for the storage are only lean 25 sheets provided. Also, because of the ADF attachment, the scanner lid is quite heavy. If we open it up with a little swing, the housing part, with the scanner glass, rises. Below are the cartridges. As soon as the cover comes into motion, the print carriage travels to the center for a cartridge exchange which then does not take place at all. A bit more robustness would be more suitable for the office. The speed of the HP Officejet 4650 is too low even for the home office with low print and scan volumes. The 0:58 minutes for 10 pages Grauert-Brief can be expected. For color prints and copies patience but badly strained – such as 4:44 minutes to 10 A4 pages inAcrobat Show. This also applies to scanning: Here the preview needs an average of 22 seconds. And it is only two seconds faster than a full color scanner. Patience is rewarded, however, because the multi-function printer creates decent prints, scans, and copies. The ink application on the sheet is quite high throughout. However, this is not at the expense of the legibility of texts. On plain paper we create light streaks. On photopapier they disappear. Basically, the Officejet produces quite warm colors – especially skin looks like sunburnt. This is almost a tad too exaggerated. The testcans have a good sharpness. We recommend to use the pre-selection for color document, photo and grayscale and to edit the settings. The reason: If we create our own profile in the test, the HP Officejet 4650 scans only part of the template.